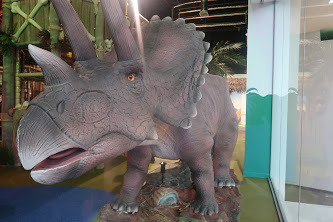 We were invited along to Dinotropolis Adventure Park that recently opened at Bluewater. There has been so much hype about it that we couldn’t wait to go along and check it out for ourselves! 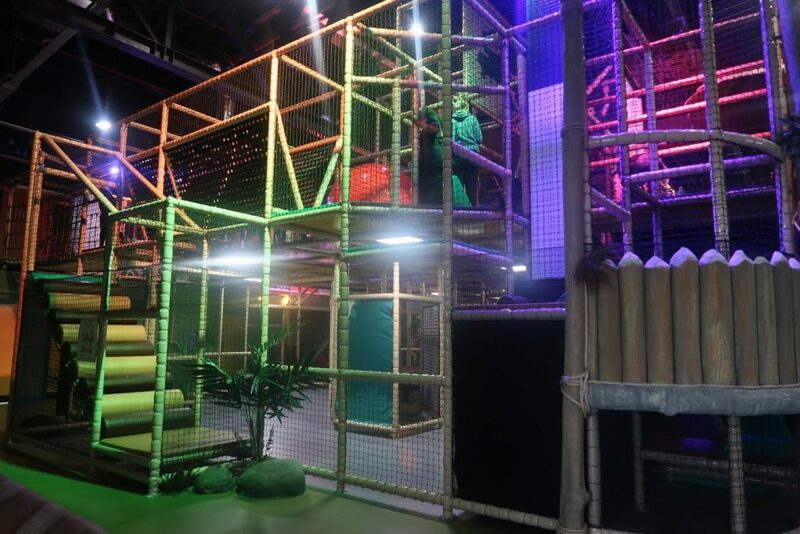 There is a huge 3 level Dino Jungle soft play to be explored. With slides, air guns, ball pits and so much more! We certainly found it a lot more ‘adult friendly’ than other places due to it’s size. There are a lot of areas that children can still squeeze through and climb over but a lot of it is a suitable adult size! Lola and I loved going down the slides together and she kept running and giving me a huge cuddle at the end of each slide to say Well Done for going down it! Thankfully Babs was with us so he had Laide with him so it was lovely to get a little bit of time just Lola and I. 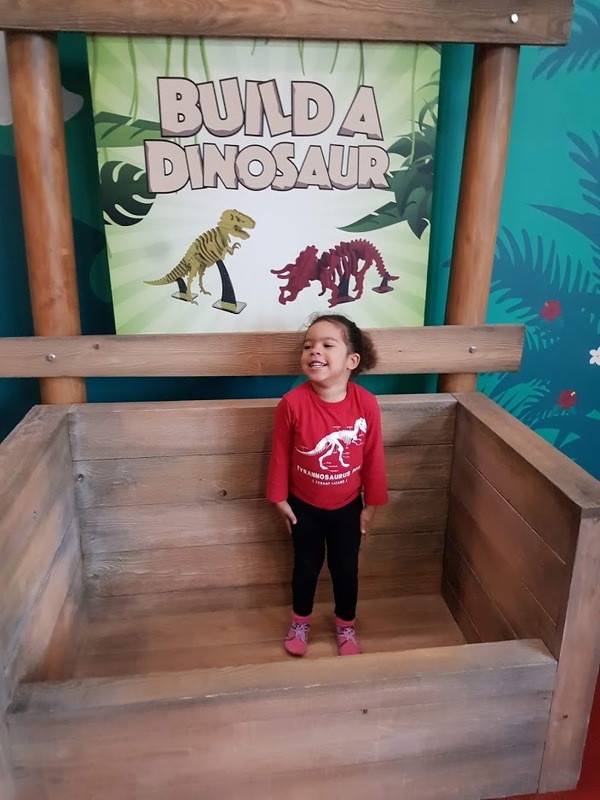 In Discovery Cove there is a fossil dig, interactive sand table, build 3D dinosaurs and colouring in dinosaurs to bring to life! Lola spent so much time time at the interactive sand table. She loved digging down in the sand to see water then building it all up to make a volcano and making it erupt. 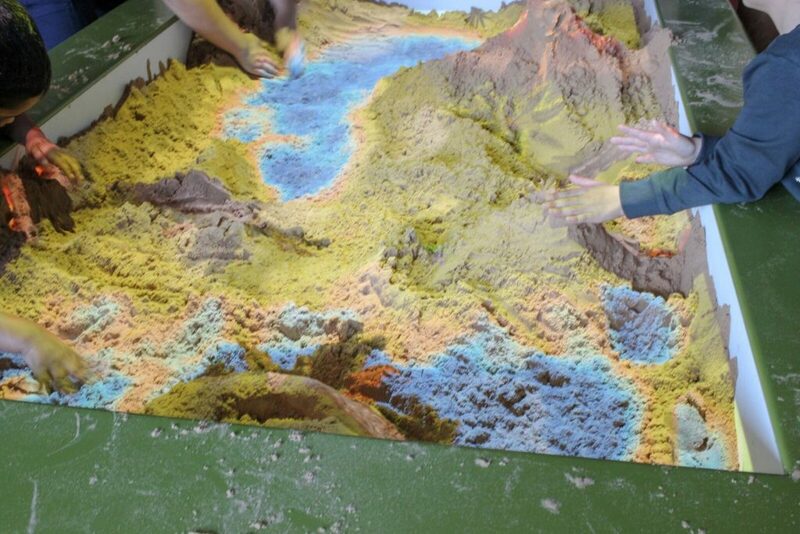 Interactive dinosaurs roam the sand pit and depending on terrain different dinosaurs would appear. 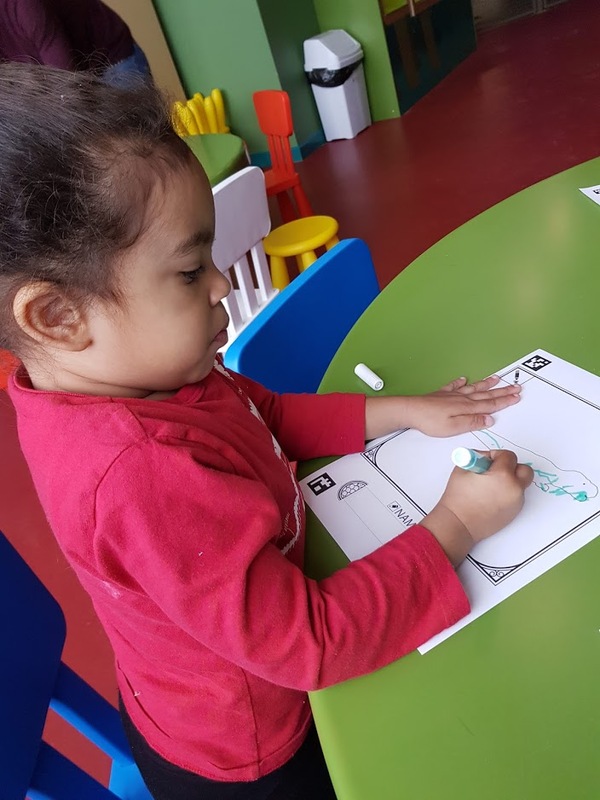 There is an area to be able colour in your own dinosaur. After finishing you can scan it and watch it come to life on an interactive screen. There is a smaller screen in Discovery Cove or a much larger one next to the animatronic dinosaurs. Lola was so proud running and shouting to Babs to come and look at our dinosaurs that we had designed! By adding your name to a section on your initial colouring your name appears above your dinosaur. 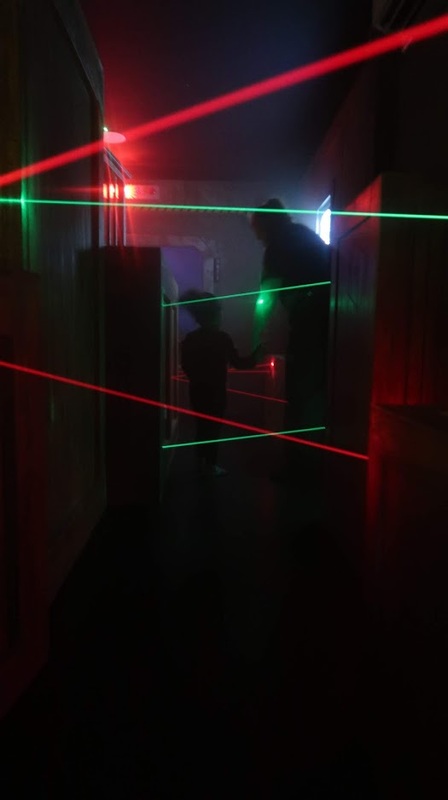 The Dino Escape Challenge is a room full of lasers that you have to work your way through without waking the sleeping dinosaurs. I think it is recommended for 4 years plus but Lola was allowed in to attempt it. She managed to go over and under the first few lasers but then wasn’t too sure how to conquer the harder lasers (going over and ducking at the same time) One of the staff members went to meet her and went with her through the rest challenge! She was so super proud of herself being able to get to the end and press the green button before rushing back through lasers before the dinosaurs awoke! Around Dinotropolis there are a number of animatronic dinosaurs. Lola’s favourites had to be the T-Rex and Triceratops. They suddenly start moving every few minutes so Lola was in her element however intially they did scare her! There was a number of other children who were really scared of them but equally a number of children that were a bit too confident being hands on with them. Dinotropolis is situated at Bluewater in the Upper Plaza. The entrance is next to the Showcase Cinema and above Gravity. 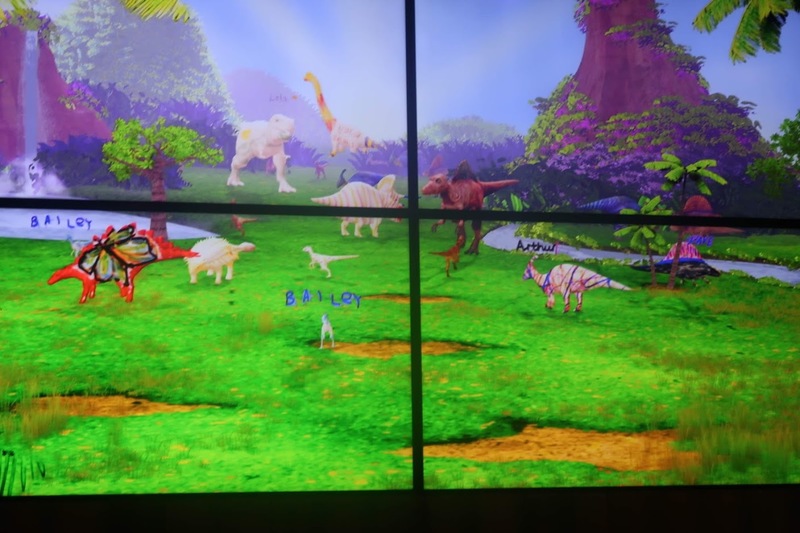 We did really enjoy our session at Dinotropolis, however there are a few things that we think need looking at. Firstly, in my opinion the entry fee is very steep. A lot of soft plays vary in price depending on ages and on peak/off peak. This is something that certainly needs to be implemented. 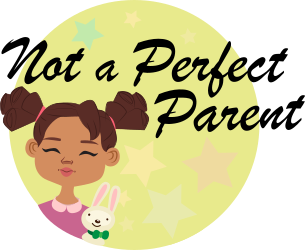 There IS more to do than a standard soft play BUT not enough to justify such high prices. I also really do not agree with paying so much extra to do the Dino Escape Challenge. There desperately needs to be lockers or somewhere secure to put personal belongings. It is not suitable to be carrying them around soft play but equally you don’t want to just be leaving them at the sides. The few chairs that are actually around the soft play had coats and bags on. It would certainly be quite an issue if families have chosen to do their shopping first and then promised their children to go once finished. The time limit needs to be desperately extended. There is an hour and half time limit which is no where near enough time. After an hour and half there we still hadn’t explored everywhere and Lola really wasn’t happy about leaving as she wanted to finish looking. The hour and half is also meant to include meals (when buying the entry with meal deal combo) We certainly wouldn’t have been able to fit in eating as well whilst there. We only grabbed a drink and pack of crisps when leaving so could not comment much on the cafe. Sounds like you all had a brilliant day at the play area. I’m hoping to take my son there too.